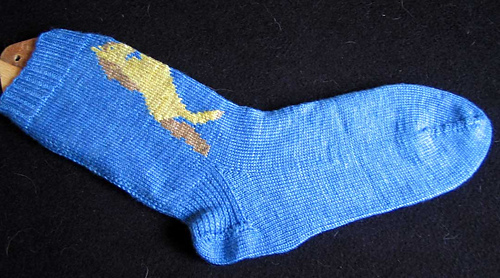 With 3 design options, and 2 intarsia image options, you have a lot of fun choices in how to make this sock! A fun knit. 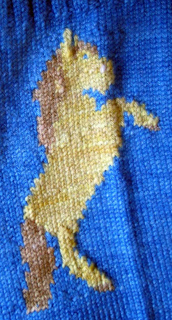 The intarsia is easier than you think. Because of the different yarn colors, I suggest buying the kit for the size you want to make. Available for purchase in booklet with the rest of the first LotS series for $15 at The Unique Sheep website.